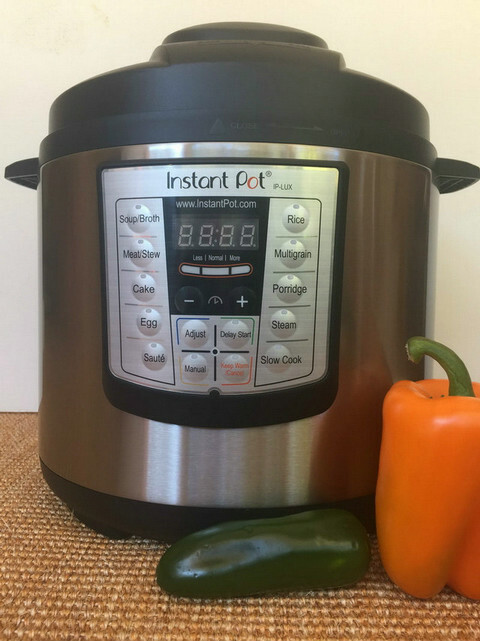 What is an Instant Pot Cooker? So you too are wondering what is an instant pot cooker? I've been seeing them everywhere in the past few months, so I set out to find out and ended up buying one. Like me, chances are you've seen them on the shelves of superstores, or on Amazon. Or maybe you came across a blog post, social media post or forum posts singing the praises of this new take on the old-fashioned pressure cooker. I've used a pressure cooker for years to make kitchari and soups, so I already was a fan of this cooking method. But, I've also recommended them to clients who were resistant. For the most part, women tell me the hissing and the potential of having it blow up intimidates them. So, I guess pressure cooking isn't as popular as it was in the days of our grandmothers?! Enter the Instant Pot Cooker – a self-contained, electrical pot with built-in safety features. It promises the cooking of a meal in 10 -15 minutes, so you can see why it's so popular. You can find plenty of fans online willing to share their favorite recipes, tips, and adaptations. So, what is an Instant Pot Cooker? The Instant Pot is a self-contained programmable appliance that produces nutritious, healthy food. It's one part pressure cooker, one part slow cooker, with more functions controlled through a digital interface. You tell it how long you want to cook your meal under pressure, set the timer and you're good to go. It automatically brings up and holds the pressure at a safe level and will not allow you to open the pot while it's pressurized. This makes it as easy to operate. The cooking is very hands-off. You set it, and then walk away until you’re food is ready. It has the advantages of using the slow cooker but takes less time. It works well when you want to shorten the amount of time it takes to make a healthy meal. One of the big appeals of the Instant Pot is how quickly it cooks food. But, the ability to cook an entire meal in 15 minutes or less sounded too good to be true. Let me start by pointing out that it does indeed cook pretty darn fast. But, the claims that it can cook a chicken breast in 5 minutes is valid, but a little misleading. While that is the time the food needs to cook under pressure, the actual time before you can eat is longer because the pot needs to come up to pressure first. This process can take anywhere from 10 minutes to half an hour. The fuller the pot, the colder the ingredients (even frozen), the longer it will take to come up to pressure. Once it does, the countdown timer will start. After the food as cooked for the allotted time, it takes a little while before you can open the pot. There are two options and which one you choose will depend on the meal you're preparing. The first is to release the pressure through the vent in the lid. This causes hot steam to escape and the pressure to go down within a matter of minutes. The second option is a process called Natural Pressure Release (NPR). Whenever a recipe calls for this, you shouldn't turn the valve to release the pressure. Instead, you let it sit until the pressure release on its own. It's important to allow for this extra time when the recipe calls for it. Does this mean the Instant Pot isn't fast? Of course not. It's still a much quicker method of cooking foods like beans and the likes than any other cooking style. It can be challenging to find the time to cook at home. Most people don't have hours to spend in their kitchen stirring pots. Heck, most people tell me they don't even have time or energy at the end of the day for a 30-minute meal cooked from scratch. The result is they end up relying on convenience food or takeout. 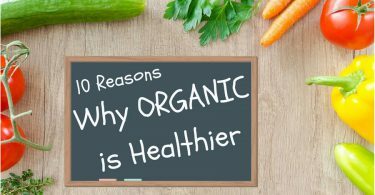 While those options do save time, they also are not best for your health or wallet. Not only does the Instant Pot cook your food faster than any other method of cooking, but it's also hands-free. You can even cook frozen meat or vegetables for those days when you forget to thaw ahead of time. This means that you can come home, put the ingredients in the Instant Pot, turn it on, and it will cook it for your hands off. That can be a big deal and something you'll come to appreciate when you need it. Now, it's time to talk hard, cold cash. An Instant Pot is a bit of an investment, even when you can find a great “Black Friday” style deal on it. On average, expect to spend between $70 – $100. The good news is that it won't take long to recoup your investment. An Instant Pot allows you to cook more at home instead of eating out. This alone will save you anywhere from $5 to $50 per family meal. There are a few different models of Instant Pots available in different sizes with different functionality. Let me quickly run through the most popular models and sizes so you can make an informed decision on what to get. Let's start by talking about size. The size of meals you cook or even the size of your family will determine what Instant Pot is the right size for you. The 5-quart size works well if you're mainly cooking for one – three people. It's also great for dorm rooms and is a must-have in a small apartment. Unless that description fits you, I strongly recommend going with the standard 6-quart size. The 6-quart model is most versatile and also the most popular size. Some of the models available will only come in this size. It's perfect for the average family and will fit all your pressure cooking needs. If in doubt, go with this size. The 8-quart size is available in a few models and is a good fit for larger families. Or if you know you'll be cooking a lot of large meals with a couple of variations thrown in to keep you on your toes. Here are the two primary models. This is the basic Instant Pot model and the one I recommend if you're new to pressure cooking. This is the 6-in-one model. It's a pressure cooker, slow cooker, steamer, rice cooker, with saute' and keep warm functions as well. This is the 7-in-one and will do everything the Lux can do, but it's also a yogurt maker. If making your own yogurt at home appeals to you, spring for the duo, otherwise go with the basic lux model to save money. It does everything the Lux does plus it can also make yogurt. The instant Pot DUO6O is a pressure cooker, slow cooker, rice cooker, steamer, saute', yogurt maker and warmer. If you like gadgets prefer the ease of saving your favorite recipes and instant pot settings on your smartphone and love complete control, this is the model to get. If you're on a budget, go for the Lux model. If you're a big fan of making yogurt, consider the Duo, and if your budget allows, go for the latest model with full smartphone app integration. This model will: Pressure cooker, slow cook, saute', steam, make cakes, pasteurize, make yogurt, cook rice and warm. To be honest, it's hard to go wrong and no matter what model of Instant Pot you choose. The best thing about the Instant Pot is how versatile it is. You can cook breakfast, lunch or dinner in a variety of ways. I can see how it might be handy if the stove ever went out, or if it was too hot to cook inside, on vacation or cooking in a dorm room. The Instant Pot shines with hot cereals. The best tasting oats I've ever had come from cooking them in it. We like warm cereal, and the best part is no constant stirring required. Or there's saute' function, you can even use it to scramble eggs or cook sausage in a pinch. Or you can hard-boil a lot of eggs to last all week long. The Instant Pot does a great job at cooking one-pot stews, soups, and beans. Mexican Pinto beans made from scratch are a favorite, and the Instant Pot cooks them perfect every time. With a quick Google search, you can find plenty of yummy recipes to try as well as lots of directions for adapting your recipes. If you're a meat eater, pressure cooking can help to make the meat lighter and easier to digest. And let's not forget about side dishes. From rice to mashed sweet potatoes, or scalloped potatoes, the Instant Pot can do it all. Here are a few of the favorite lunch and dinner recipes we've collected so far. 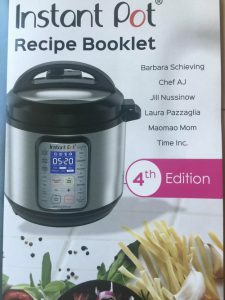 The Instant Pot comes with a recipe booklet which includes recipes for starters, sides, mains, and desserts. But, since the Instant Pot has been so popular for the past few months, there are plenty of cookbooks published. Browse through your local bookstore, or head on over to Amazon to see their selection of Instant Pot Cookbooks right now. If you have friends or family members who are Instant Pot fans, ask them for their favorite recipes and jot them down on recipe cards. If there’s a group of you, you can start to regularly exchange recipes. If someone brings an Instant Pot dish to a potluck or gathering, ask them for the recipe. It won’t take you long to establish a nice little library of tried and true recipes. If you’re looking for something specific, do a quick Google search is always a great idea. You’ll be able to find chicken thigh specific recipes or instant pot ready recipes for spaghetti and meatballs. Along the way, you’ll likely come across all sorts of different blogs where fellow Instant Pot users share their experiences and recipes. Bookmark them, or just browse around when you come across them for plenty of fresh recipe ideas. Try the recipes as is, or use them as inspiration to come up with your take on a dish. Last but not least, let’s not forget about social media. Pinterest is an excellent source of Instant Pot recipes. Do a quick search and follow a few Instant Pot or Pressure Cooker boards for plenty of new recipe ideas in your Pinterest Feed. By far my favorite way to come across new recipes to try or get suggestions for recipe adaptations is Facebook groups. There are several good Instant Pot specific groups you can join and participate in. You’ll find a wealth of information in these groups along with all sorts of helpful tips and ideas. The food comes out so moist and tender it’s amazing. If you ever are looking for some delicious recipes I would be very happy to share. I have seen these in stores before but did not really know what they were for. I thought it was just a fancy version of a crock pot.After reading your description I think I want to save the money to buy one. I have always liked the way meat tastes when it is pressure cooked but i was always afraid to use one.